Every summer, thousands of Utah residents pack the downtown area for the Utah Arts Festival. They stroll through artist booths, listen to live music, explore hands-on art areas, watch short films—in short, get a sampler platter of the astonishing wealth of artistic talent this state has to offer. But how did that festival get here? 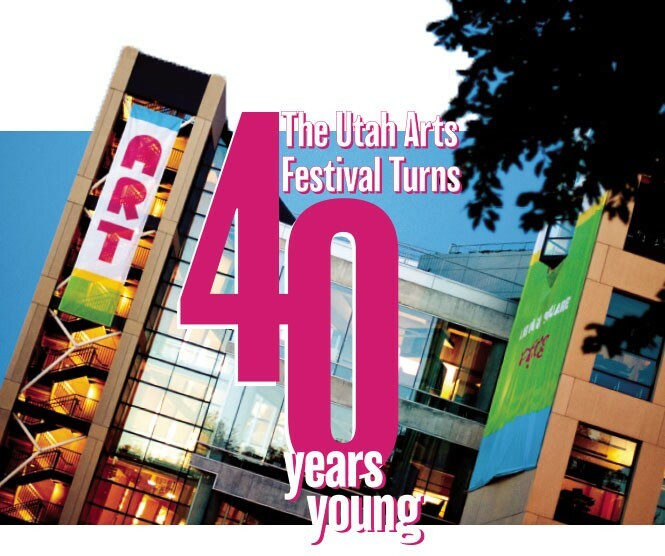 For this 40th anniversary milestone of the Utah Arts Festival, we look back at how it all began, with colorful reflections by the festival's first director on its improbable birth. We also check in with the current festival staff member whose job it is to build the festival grounds every year, and learn a little bit about the challenges of bringing one group of performers to Utah this year. Then we'll give you a chance to browse through images by some of this year's participating artists, introduce you to a group that will be performing barbershop vocals for UAF guests, and help you make plans to attend with our handy logistics guide. The Utah Arts Festival may be hitting the big four-oh, but it's hardly over the hill. Get ready to find out about the journey that has taken it to yet another peak.